Saturday, September 10, 2011, is the BIG DAY for Mrs. Sadie D. Steele. She will celebrate a milestone that few of us dare to dream. 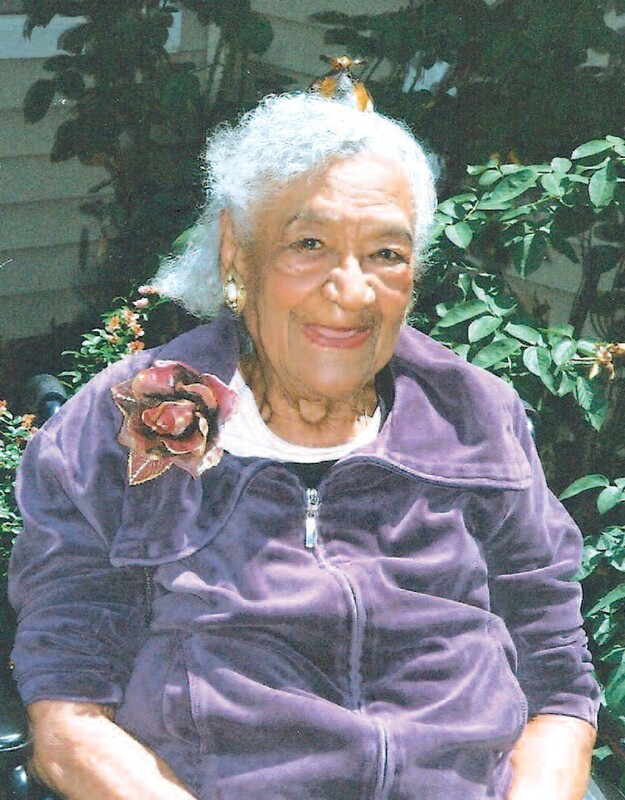 Born on September 10, 1911 in Savannah, Georgia to Mr. and Mrs. Charlie Calhoun Davis (Mamie Rogers), Mrs. Davis Steele has reached the ripe “young” age of 100 years. She has lived and worked most of her life in Savannah. It is not often that one who is so endeared to family, friends, church members, neighbors, sorority sisters, classmates, former students, and community leaders gets to celebrate with the entire community. This is an exception, and the responses have been unbelievable! Since the word has spread about Mrs. Steele’s “coming of age,” members of the Centennial Birthday Steering Committee (all of whom Sadie selected) have received hundreds of calls from all over the country. Many students who were in Mrs. Steele’s second grade class have called because they read about her birthday online in the Savannah Tribune or the Savannah Herald. Not only have they called, but some have sent cards; others have discussed every detail about what happened in her class long time ago. What a Testimony! Sadie Steele has centuries of testimonies… education, civic, religious. Her teaching career and passion for educating young people spanned over thirty years. Her first teaching job was in Sparta, Georgia. Later, she returned to Savannah and taught at Haven Home School. Mrs. Steele also taught at the Powell Laboratory for Teachers, Sol C. Johnson High School and Thunderbolt Elementary School. Her unique gifts as a teacher in the Savannah Chatham County Public Schools earned her many awards. She was voted Chatham County Teacher of the Year several times, and received the Georgia State Teacher of the Year honor as well. Civic: In addition to her contributions to the field of education, Mrs. Steele has rendered invaluable service to the Savannah Chatham County Community through numerous charitable and religious organizations, including: Delta Theta Sorority, Inc. – Savannah Alumnae Chapter, where she served as president 1958-1960; Goodwill Industries of the Coastal Empire, Inc.; Economic Opportunity Authority; King-Tisdell Cottage Foundation, where a garden has been named in her honor; Savannah Branch NAACP; National Education Association; March of Dimes; American Cancer Society; Tuberculosis Association; Savannah State University Alumni Association; Cuyler–Brownville Neighborhood Association; and Haven Home Alumni Association, where she recently participated in the unveiling of the historical marker for the Old Haven Home School. Religious: At the age of 9, Sadie was baptized at Bolton Street Baptist Church. She later changed her membership to All People New Central Baptist Church that eventually changed to Bunn Memorial Baptist Church by the late Rev. Dr. E. N. Bunn. Mrs. Steele marched with the congregation to the dedication and opening of the Bunn Memorial Baptist Church. At Bunn, she has served as the pianist, a Sunday school teacher, Chairman of the Trustee Board, and a member of several other boards. Having been recognized for 50 years of service, the Bunn Memorial Baptist Church Annex was built and named the “Sadie Davis Steele Annex” in her honor. She is still active at her church after 76 years of service. Honors: Mrs. Steele has received awards and recognition from several organizations. Some of these are: Twenty-seven Years Service as a Goodwill Industries volunteer; National Education Association Outstanding Teacher Award; March of Dimes Volunteer Award; American Cancer Society Volunteer Award; and the Tuberculosis Association Volunteer Award. She was the first Parade Marshal for the Martin Luther King (MLK) Day Observance Association. On Saturday, September 10, 2011 – 4:00P.M.- 6:00P.M. at the EOA Aaron L. Buchsbaum Learning Center, the community will honor and pay special tribute to a real public servant. We extent a BIG HAPPY Birthday wish to a gentle, caring, inspiring lady – Mrs. Sadie Davis Steele! We would like to sincerely thank the entire community for your support of this celebration. For additional information, please contact Lula L. Baker at (912) 232-6048.